A new mobile game is giving new life to some of my favorite games from my post-adolescent years. Game Show Adventure, which was updated this month by developer Magical Games, mixes puzzles, trivia quizzes and arcade action games into a sprawling graphic adventure. 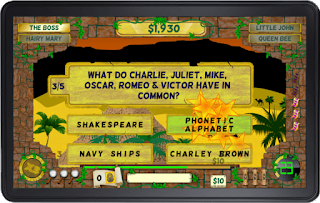 Magical Games says the inspiration for Game Show Adventure came from popular TV shows like the British shows Catchphrase and The Crystal Maze along with some of the best global electronic games from the Atari and Nintendo era. Watching the trailer below for Game Show Adventure, you’ll see clips that remind you of Frogger and Pac-Man along with trivia quizzes that have multiple answers, just like the board game Trivial Pursuit. Other contests include word games reminiscent of Scrabble and Wheel Of Fortune and a memory game that works like Simon, an electronic memory game that I played with my children. Game Show Adventure is set in three different zones, starting with an Aztec city and moving to the pyramids of Egypt, then on to games of chance (and skill) in Las Vegas. The game tracks your scores and compares them to high scores from around the world. It is also self-contained, so you can play on an airplane or when you’re out of Wi-Fi range. 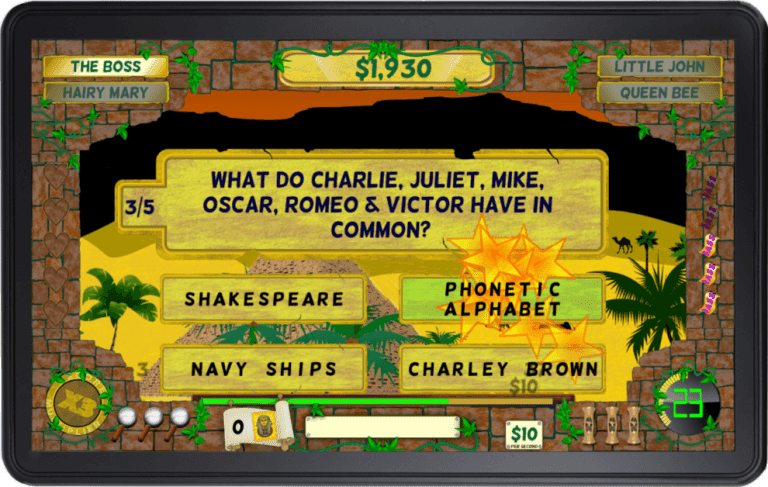 The game is available for handheld Android devices and tablets at the Google Play Store. The download and the first round are free, but once you’re hooked, it costs $3.65, £2.95 or 4 Euros to move on. You can get a closer look as the game in the video below and on the Game Show Adventure website as well as GSA’s Facebook page and @gameshowapp on Twitter. Update: More puzzle games have been added to Game Show Adventure, one from the Crystal Maze where you slide letters in a cross shaped board to make a word, another is Mastermind the classic board game and finally another classic, Battleships. More on the way soon and I'm going to make another unlockable level, Carnival!